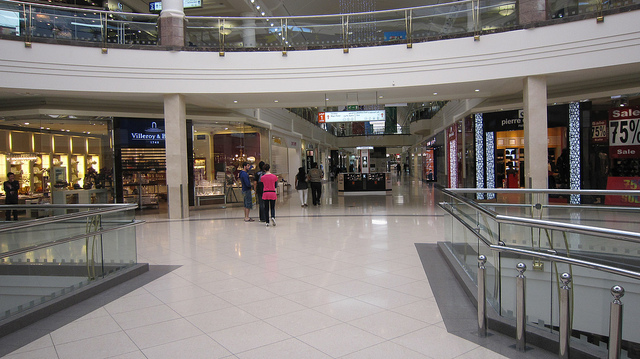 As one of the up-and-coming regions of Dubai, Deira has seen dozens of rapid changes with regards to industrialization and has evolved into a paradise, complete with incredible retail outlets and markets, while still retaining its historical wonders that can help your broaden your mind, spiritually and intellectually. Here’s our list of ten things to do in Deira, Dubai. With gold being an everlasting, wise investment, this market attracts hundreds of inquiring customers looking to purchase intricate and innovate designs, exclusive to the souk (located in the locality of Al Dhagaya). The ornate pieces range from delicate rings to full body armor, an extravagant accessory that makes the souk ideal for prospective brides desiring a stand-out masterpiece to enhance their special day. Whether you’re searching for a present or just indulging in the many dazzling delights on offer, the Gold Souk is the venue to satisfy your materialistic needs. Food connoisseurs can flock to the spice market and obtain enticing flavors to add a distinct taste to a special dish. Steps from the Deira Old Souq Abra station, the stall vendors carry out the tedious tasks of unloading aromatic goods ranging from dried lemons to medicinal herbs and frankincense. All produce are beautifully arranged and attract both locals and tourists looking to explore the less commercial side to Dubai. Get the freshest of ingredients, infused with the pungent spices of the Middle East that will form a vital component of any Arabian meal and could even elevate other cuisines. Seawings aims to showcase aerial sightseeing tours of Dubai as well as Abu Dhabi and fascinate tourists while on board a seaplane. 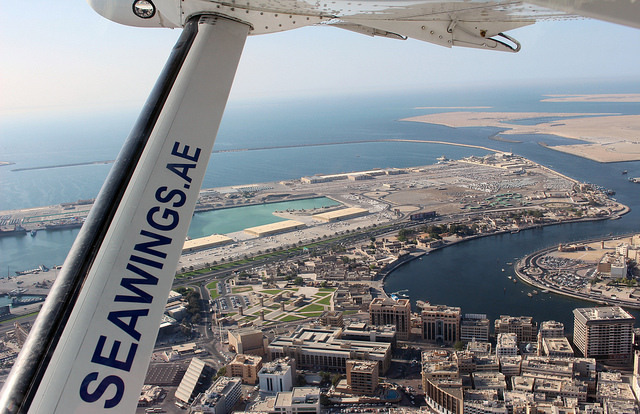 This tour offers a unique water takeoff and landing and captures unobstructed views of Dubai’s coastline. Marvel at its architectural wonders, the modern structures, engineered and crafted to perfection and traditional, barren yet breathtaking desert landscapes. Seaplane tours can also be customized with add-ons to personalize your experience. In addition, Seawings hosts chartered flights to over 25 destinations in the UAE for corporate events, leisure activities and celebrations including weddings and birthdays. A cultural initiative established to explore and venerate the lives of significant women, as well as the roles they played, in the Arab World and the Gulf Region. The first floor is dedicated to featuring masterpieces by female artists spanning across the Emirates. Due to the program changing, the gallery may display the works of established artists as well as retrospectives by emerging artists. Gain an insight to their perspectives of various themes ranging from abstract to those depicting a story. The second floor boasts an expansive archive of research documents and books that any intellectual mind would appreciate. In a region where the oppression of women has been and is still prevalent, visit an establishment that has made a great advancement in attaining gender equality. This courtyard house constructed in 1890 provides you with a rare opportunity to get a glimpse into a residence that was previously inhabited by a wealthy pearl merchant. Elegant verandas surround the coral and gypsum edifice, which succeed in blocking the sweltering, intense Dubai sun. Within each room, expect to witness three-dimensional dioramas that aim to recreate vital and conventional aspects of life along with informative audio visual displays to stretch your minds. Guests are at liberty to explore the majestic quarters such as the kitchen, the majlis (meeting room) and traditional pantry. On the top floor, one can note the authentic children’s games that were once played by entire families, while grasping the the solid foundation on which a close Middle Eastern family was built. Regarded as being the first public primary school to be launched in Dubai, this educational institution was founded by respected pearl merchant, Sheikh Ahmed bin Dalmouk. The all-boys school quickly evolved into a reputed establishment that welcomed a multitude of bright minds. Sheikh Mohammed, himself frequented lessons to learn the Quran, arithmetic, literature and astronomy. Currently, the classrooms have been transformed into exhibits that strive to educate the growing minds of our generation on the incredible history of Dubai. The building still boasts exquisite detail with artful carvings and bejeweled entrances. Live out your racing fantasies at Xxtreme Simulation, the ‘Most Advanced Racing Simulation Center’ and the only racing center in Dubai. Feel that instant rush of adrenaline at the cutting-edge simulation area that has been pioneered by experts and put yourself in the driver’s seat while igniting your competitive spirit. The software used is also utilized by genuine racing teams and so enhances the authenticity of the surroundings. Offering eight race car simulators, each one is complete with a ‘pit-stop’ area along with a leadership board to track your progress. Update your wardrobe with the latest designs or dine in a fine and lavish establishment when visiting the Deira Shopping Mall, one of the only malls that merges high-end, premium brands with those that are more affordable, branching out to more customers looking to purchase a memento of their time in Dubai. Film buffs can sit back and appreciate a good movie in the comfort of the theater nestled within the mall, and lovers of gastronomy will be able to indulge in the impressive menus of the sophisticated restaurants and cafés. This award-winning sanctuary is infused with a zen-like energy that stimulates your five senses and nourishes the body and soul while harmonizing the mind. Sample the unparalleled techniques and treatments that employ prestigious products and will rejuvenate your skin and revitalize hair and nails. Treated as a luxury, the YHI spa delivers a full service 1,000 square meter relaxation center that includes six single and one double cabin that offer unrivaled massages and facials. Get up close and personal with the graceful and charismatic creatures of the sea: dolphins. These affectionate animals along with playful seals feature at the Dubai Dolphinarium’s action-packed shows. 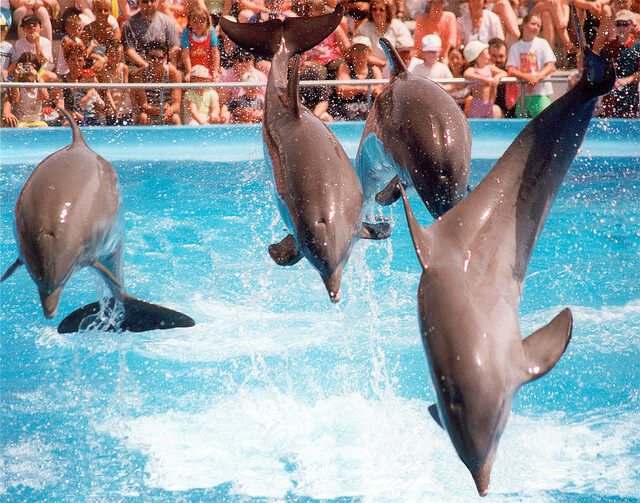 Visitors can watch in wonder as the dolphins and seals perform incredible acrobatics, sing, dance, juggle and even paint. The venue provides the opportunity to participate in daily swimming sessions with the dolphins that would allow visitors a valuable golden chance to interact with the gentle mammals. It’s a haven for families wanting to find an activity that will intrigue both adults and children.